Promoting sustainable forestry is a very important part of the forestry industry, ensuring that our forests and ecosystems are not compromised. Woodland Pulp LLC takes due diligence in assuring our procurement activities do not compromise any of these. Best management practices, contractor and personnel training, and inventory planning all play a very vital role in our procurement practices. On-site wood supply inspections are conducted monthly on our suppliers to ensure proper forestry practices and BMP's are being used as well as verifying origins of wood. Woodland Pulp LLC encourages and promotes landowners to certify their land. Wood harvested in violation of traditional and civil rights. Wood harvested in forests where high conservation values are threatened by management activities. 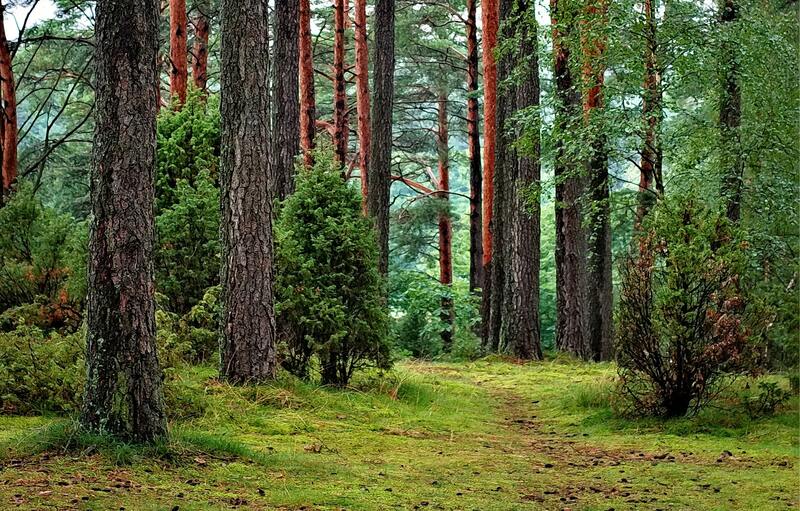 Wood from forests where genetically modified trees are planted. Wood supply that cannot be identified of its origin or are considered to be any of the above is not allowed or purchased. Any wood fiber that is sourced has undergone a risk assessment to verify it can be considered controlled wood. As a part of our commitment to you, the people, we have included our commitment statement. You can view this here. For more information about our sustainability policy, we have a detailed statement of our responsibility and dedication to procurement. We are dedicated to the ethical and legal procurement process. In our policy below, we have detailed the steps and information we must obtain in order to make sure that our providers are adhering to our requirements.